G.W. 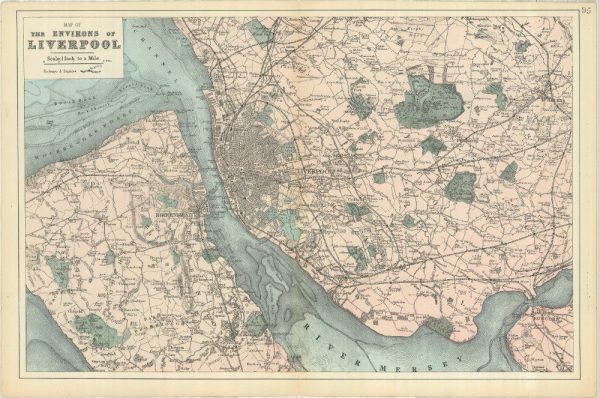 Bacon published this old map of Liverpool (The Environs of Liverpool) in 1885. It shows some street-level detail, with street names on the major roads. 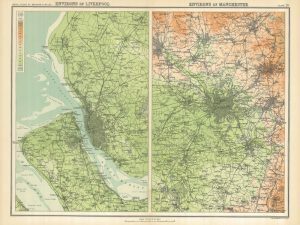 The map covers the Wirral and the Mersey in the west, stretching across Liverpool from the Mersey in the west to St. Helens in the east. 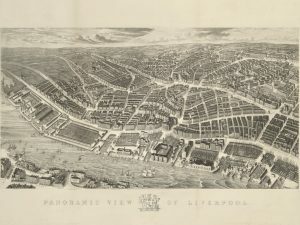 Bacon’s map of Liverpool is a beautifully engraved map. 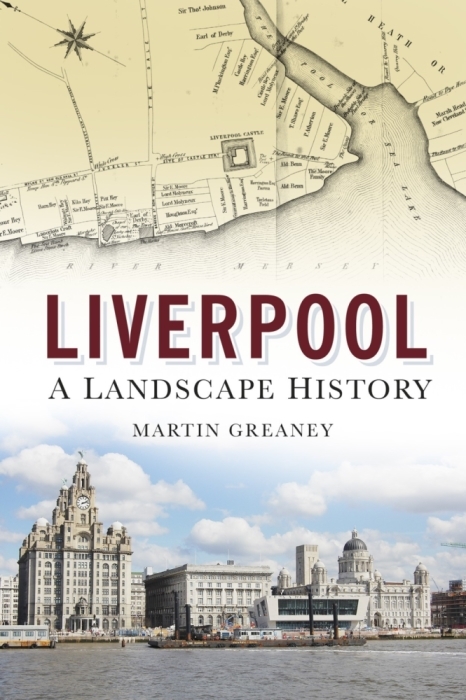 It lacks the detail of the other old maps but more than makes up for it with it’s depiction of the River Mersey and the parks. The Knowsley Park estate is particularly attractive, with miniature trees drawn to mark drives and wooded areas. Other highlights are the more modern, formal parks of Princes Park, Newsham Park, Sefton Park. The River Mersey itself shows important navigation features. Devil’s Bank, Sloyne Roads and Mockbeggar Wharf are just some of the highlights. You really get a feel for the river’s hidden submerged features. 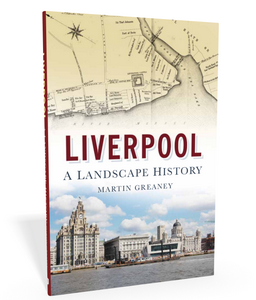 The map gives a great overview of the south Lancashire landscape at the end of the 19th century. Some of the most obvious features are the railway lines, shown snaking across the land. If your Liverpool ancestors worked on the railways then this is a good map to find out station names and Victorian rail routes. Note: See the Plan of Liverpool (1890) if you want a more detailed old map of Liverpool. The Plan is split into two parts. 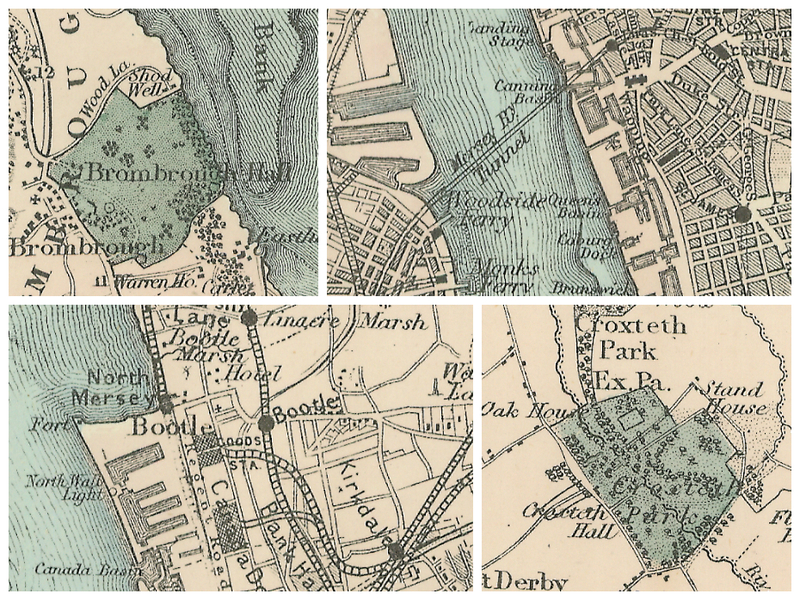 The North Sheet covers Leeds Street north to Bootle; the South Sheet includes the city centre, Toxteth and the southern suburbs. 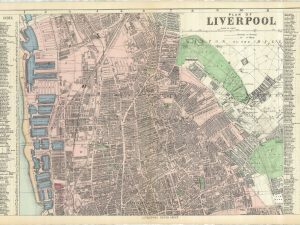 This item, and other maps of Liverpool just like it, are available to explore as high resolution interactive maps on this site. The images on this page don’t give a great impression of just how good this map is. 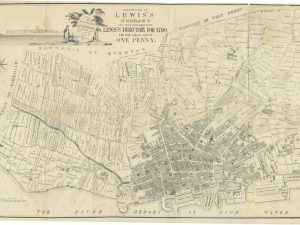 The old map print itself is a high definition reproduction of a large digital file. The print comes at a slightly larger size than the original. These scans are so good that they are sharp even in the enlarged version! Yes, I can print these images to a custom size. I’ll need to get in touch with my printer to ask the price, so will get back to you on that.